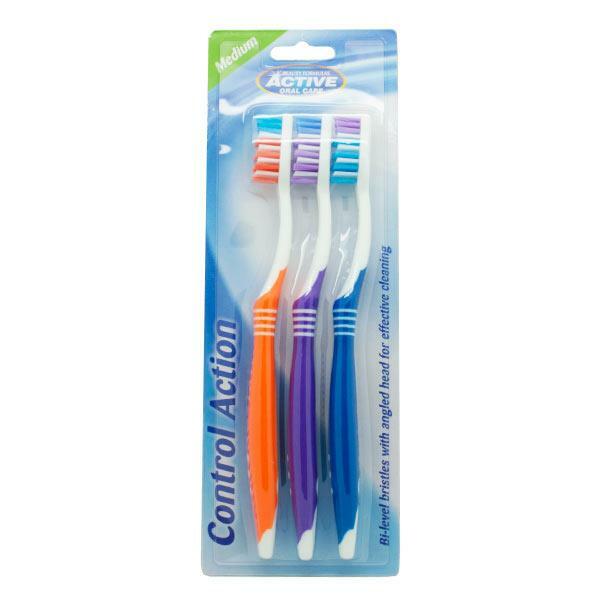 Beauty Formulas Medium Control Action toothbrush helps to maintain healthy gums. The medium control brush is easy to use and gentle enough on your gums. Includes 3 toothbrushes.